Wedged between a property tax hike and an e-cigarette tax in Mayor Rahm Emanuel’s budget proposal was a plan to take the 311 system Chicago “invented” private. The decision to privatize the 311 system would mean that residents calling to complain about rats or report potholes would speak to employees of a private company rather than city workers. 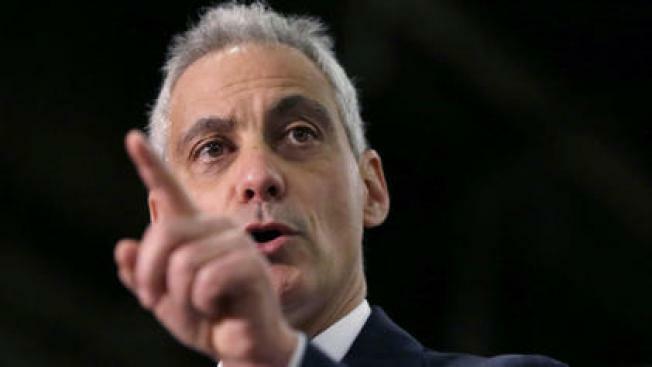 The move would save taxpayers “a million dollars each year,” Emanuel said during the address. Later, Emanuel said the city needs “about $40 [million] to $50 million to modernize  in the coming years,” and noted that “capital expenditure” could be solved by a private operator, according to the Chicago Tribune. Still, 311 operators say outsourcing the service is “harmful and wrong.” They cited the need for training in the position and the loss of jobs it could mean for the city, the American Federation of State, County and Municipal Employees, which represents dozens of the workers at the 311 center, said. Operator Debra Powell said she questions why the mayor would make cuts to 311 when the program has become a model that other cities have observed and duplicated. “I live in the city, pay city taxes,” she said. Several city aldermen also question the idea. “Why are we reinventing the wheel,” said Ald. Michelle Harris. Though details on the shift have yet to be revealed, city budget spokeswoman Molly Poppe told the Tribune only a small savings was reflected in budget documents because the change won’t happen until later in the year.